In the Actuals screen, click on Create new (invoice). TIP: IRD has some really helpful information on when a tax invoice should be issued and what it must include. Other parties (also known as contacts) can be created in Settings. Click on the arrow next to Save. 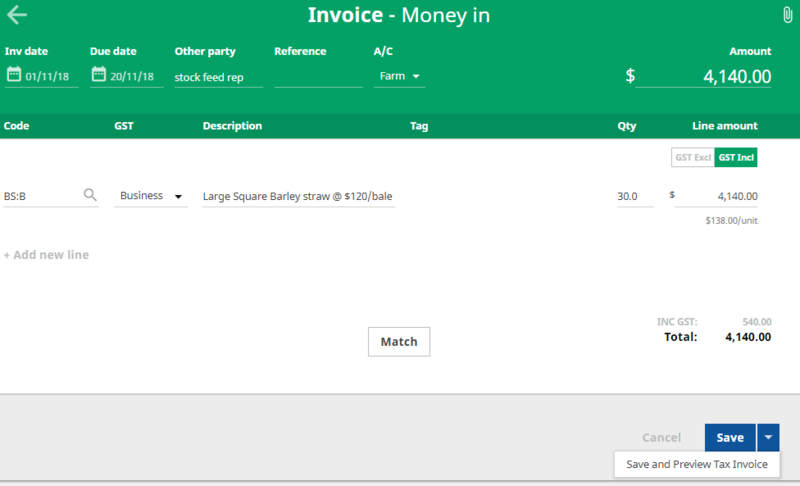 Select Save and Preview Tax Invoice. If the tax invoice is ready to be sent to the contact, select Generate Tax Invoice. 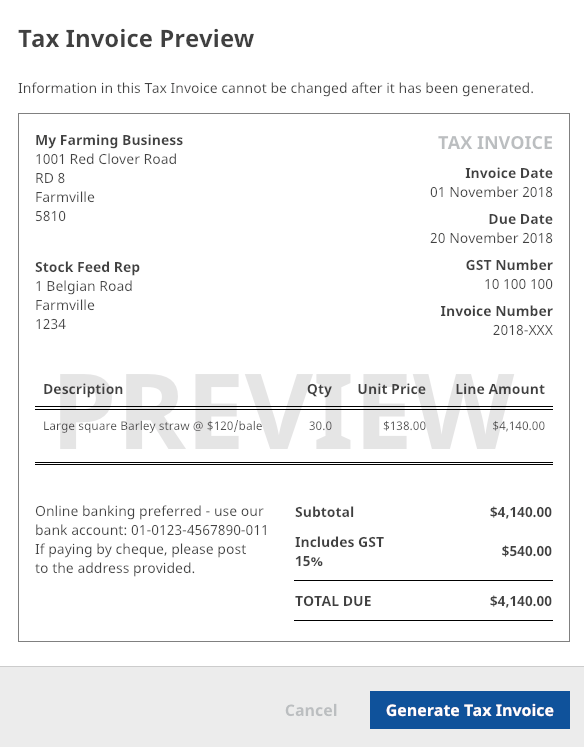 A PDF version of the tax invoice will be downloaded and saved to your computer, ready to email, post etc. IMPORTANT: Once you have generated and downloaded the tax invoice, the details within it cannot be changed. Instead, you will need to delete and re-create it.